One day my friend Josh and I had went to the local video store to find something to do. This was the first time I had ever heard of 7th Saga. We had no idea what the game was all about, but since we had no other games in mind to start with, we decided to give it a try. What did we have to lose? I was really impressed with this game. 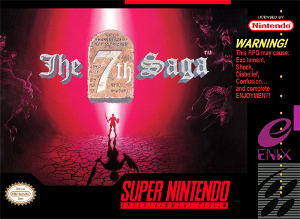 Developed by gaming giant Enix, 7th Saga was released in 1993. The highly detailed graphics were quite good, considering this was a SNES game. Every time you get into a battle, the screen rotates and zooms in, and becomes the background for your battle. The same exact screen you were just walking on. This is rare to see in a role playing game, and was truly an innovation. The music in the game was nice as well. The battle music is fast paced and progressive, and somehow managed to just click. The music on the over-world map is calm and peaceful, and nice to listen to. The sound effects, on the other hand, were mildly annoying at times. Too bad there was no option to disable sound effects, while leaving the music. The storyline didn't particularly shine either, but it was still more than playable. Of all the linear games I have played in my life, this one was, by far, the worst (or best, if you like linear games). There are absolutely no side quests in this game, it's straight-forward and uncomplicated. In the beginning of the game, evil is taking over the world. The only way to stop it, is to collect the seven runes. They, of course, are scattered throughout the land. King Lemele happens to have been training some warriors for just this occasion, so he sends them out after the runes. You get to pick which character you want to be, and at least there is a little variety here. You can be anything from a human to an elf, from a dwarf to an alien, or even a demon or a robot. Not that choosing different characters will have any effect on the ending, or on any of the story at all for that matter. The only difference it makes, is how you have to utilize your character to win. The characters you don't pick, don't disappear into thin air though. You run into them, over and over again, throughout the game. Sometimes one may offer to travel with you on your adventure, other times, he may want to kill you and take any runes you may have collected. Then you will have to defeat him later on to get those runes back. They are not easy to fight either. They are always on the same level as your main character, but they also have a 50% increase in stats. This means that even the wizard character Valsu will have a strong enough physical attack to hurt you pretty bad, even if you have the strongest physical character and the best armor. The interface is really basic also. Everything is done through simple menus, much like Dragon Warrior or Ultima: Exodus for the old Nintendo. You get a turn, the enemy gets a turn, you get a turn, the enemy gets a turn... this means that using items or defending is often a waste of time. While you are using your items or defending, the enemy gets a free turn to attack you. This means he is effectively getting twice as many attacks as you, and the attacks usually do at least as much damage as you healed; and defending don't stop his attack, it just cuts it down some... which is really useless most of the time. One of the nicest features of 7th Saga, is the crystal ball. It is a round sphere at the top of your screen, and it shows things such as monsters, towns, and runes. While it seems great, the monsters always seem to make a bee-line towards you, even through walls, so you really can't avoid them. On the other hand, it allows you to see when you are getting close to a new town, or when you are drawing near the next rune location. Monsters are depicted by little white dots, towns become white circles, and runes are red flashing circles. When you are in a dungeon, treasure chests become white circles instead of towns. It's alright that you can't really avoid the monsters though, for you will find yourself having to fight a lot of them in 7th Saga. Be prepared to spend, literally, hours leveling up sometimes. When the game was brought to the United States from Japan, the amount of experience needed to level up was greatly increased, so the difficulty of this game is something you will probably be entirely unprepared for. 7th Saga seems to be a slow-paced game because of it. To make matters worse, the menus are used for everything. This means, you have to push the button to bring up a menu, then push it again to select "talk" to speak with one character. To open a treasure chest, you have to push a button, then select "search" and push it again. This will get pretty tedious to most players, but you get used to it. Over all, it is a really fun game, but only if you feel like putting the time into it. If spending a few hours leveling up sounds more like a chore to you, then you will probably not get much out of this game, because you will find yourself having to do it often. On the other hand, if you can manage to get through that, you will probably like this game. The ending will probably disappoint you, but I won't say any more about that. If you like role playing games, and don't mind spending more time leveling up than you do playing, this game is for you. If you like 7th Saga, you also might enjoy Ultima: Exodus (NES), Dragon Warrior/Dragon Quest (NES, SNES, GBA), Final Fantasy (NES, SNES, PSX, GB), or Star Ocean (SNES, PSX). The Bottom Line: An awesome game that will keep you entertained for months, Heroes of Might and Magic II is a must have title. 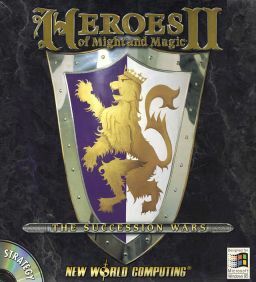 New World Computing's Heroes of Might and Magic II (HoMM2), is an excellent turn-based strategy game. Developed by PopTop Software, it was released in November of 1996, but it has aged really well, and is still popular today. In the first game, you fought hard to conquer a kingdom. In HoMM2, that same kingdom is engaged in a mighty a war of succession. Two brothers, one good and one evil, fight for the right to rule. It is up to you to choose which brother you will follow, and thus choose which campaign you will undertake. In addition to the campaign mode, where you go through a multitude of increasingly difficult scenarios, you can also play a scenario separately. This is a normal game, and the one you will find yourself playing constantly after you have beaten the campaign mode a couple of times. If multiplayer games are your forte, you can also have up to six players play at once via modem, LAN, or direct connect. Also, if you don't mind switching seats after every turn, HoMM2 also supports multiplayer games of up to six players on the same computer, taking turns... something you don't see often. The game is really customizable, to provide just the right amount of difficulty for whom ever happens to be playing. In a normal game, you can choose the map size, number of opponents, the difficulty setting, and choose between six different character classes. You can play as a knight, barbarian, wizard, warlock, sorcerer, or necromancer. Each character class has different attributes, with the magic type classes obviously having a bonus in spell power and knowledge, and the physical class having more power and guard. In addition, each of the six classes starts in a different type of town, and can thus produce different types of creatures for its army. You can hire new heroes at your castle, and you will find yourself doing this often, as your army cannot move without a hero. When you fight, your hero stands back and casts magic spells (one per turn), while your army does all the fighting. If you are defeated, your hero goes free agent, and can be recruited again later (even by your enemies). If you are about to lose, it is usually best to run away, because then you have the option to recruit your hero again on the next turn, before your enemies have a chance. This is especially useful if your hero was holding artifacts or had obtained a higher level. Your enemy, on the verge of being defeated, all of a sudden gets to recruit your level 26 hero, who by chance was holding onto some good stat-boosting artifacts. That wouldn't really be a good thing. If you win, however, you gain a certain amount of experience. You also come away with whatever artifacts the enemy was carrying, providing you have enough room to carry more artifacts. You can also find artifacts scattered across the map, though they are usually guarded by monsters. You will also find mines and mills across the map. Controlling these will gain you various resources, which can be used to create more creatures for your army. They can also be used to build buildings inside your towns and castles, or to upgrade existing buildings. There are also various buildings on the map, some of which will teach you magic spells, while others will give you resources. Some may even increase your power or knowledge. My advice is to try and visit all of these places with each hero you have, that way each hero can benefit from the stat boosters and learn the new spells. Buildings that give you resources only do so once per week. The other place for heroes to learn spells (and this is where you will learn the majority of them) is in the mage guild of your castle. Your mage guild can be built, then upgraded all the way to level 5. Each level requires more resources, and it does get expensive, but it is very much worth it. Each of the six different types of castles produces some different spells in it's mage guild, so it is in your best interest to visit one of each with each of your characters. This way, they get a huge variety in their spells. The more the merrier, I say. Spells range from a simple fireball or lighting spell, to paralyze and blind spells, all the way to meteor shower and armageddon. Some of the more powerful spells also damage your own army, so be careful when casting. Some of my favorite spells are mirror image, mass bless, and chain lighting. Mirror image creates an exact copy of one army (so use it on your strongest army), but if it gets hit one time it dies. Mass bless makes every army under your control do the maximum amount of damage possible. Finally, chain lighting hits a creature with lighting, then hits the next nearest creature with half power, until it is no longer effective. Hitting the middle of an enemy line with this will usually damage each of their units, at least slightly. Monsters on the world map do not move. They stand in one place (usually guarding treasure) until you engage them in combat and defeat them. Opponents, however, move around freely. The artificial intelligence is good for the most part, but is gullible when it comes to undefended towns. You can leave your castle and walk half a screen away, and your computer controlled opponents will always make a move to take it for their own. Using this to your advantage, you can lay in wait for him to move, then attack him before he gets to your castle. Using this simple trap, you can gain lots of experience and artifacts. In the mean time, build up an army in the castle, and when your hero is leveled up enough, hire a new one to take his place. This way, you can level up multiple heroes, and send some off to raid enemy castles and capture enemy mines. There are no 3D graphics in HoMM2. That in no way detracts from this game though. This 1996 game features 2D graphics that are beautiful. Most things are stationary, and don't move around much, so they are kind of simple, and a little flat...and if that is the worst that I can say about them, then who am I to complain? The movie scenes are nice, and do a good job of helping the story along. The vocals by Grant Youngblood and Kareen Meshagan are clear and easy to understand, and have a nice sound to them that just works with this game. The musical score is also great, and if you enable the Opera setting in the game options, it gets even better. The sound effects aren't really that terrific, but they are also not bad enough to get on your nerves. If you are a fan of turn based strategy games, or even if you are new to the genre, then this title is a must-have. If you prefer real time strategy, you still must get this game. If you like this game, you also might enjoy playing Warcraft, Daggerfall, Civilization II, or any game from the Warlords series. Robotrek is a role playing game developed by Quintet, and published by Enix (long before their merger with long-time RPG giant Squaresoft). Instead of hopping on the bandwagon, and producing yet another of the same exact games that flooded the market, they decided to do something different with Robotrek. The main character does absolutely no fighting in Robotrek. That's right, none. Instead of playing the part of some warrior hero, the main character dons the inventor's hat. You create and name up to three robots to do your fighting for you. Neat. Instead of gaining experience points along the way, you collect so many megs of data for your robot warriors. Instead of increasing strength and dexterity and wisdom, your robots program can be edited to increase their power, energy, speed, guard, or charge time. After enough data has been collected, your robots level up. They all level up at the same time, so don't worry about using one robot too much. Also when you collect enough data to level up, the main character is able to read the next "Inventor's Friend" book, which teaches him how to make a new item for the robot to use. The robot uses things such as Shot, Sword, Punch, Axe, or Shield in battle, and naturally the higher the level of item, the better it is, so it is in your best interest to read as many of these as you can find. Sometimes they are hidden, or you must back track to an earlier place in the game to read a new one. Robotrek is one of those "cutsey" games. The little squished character, drawn in a way that would make you think he was made out of balloons, gives the game a cartoonish quality to it. Not that that's a bad thing, because it kind of works well for Robotrek. If you've ever played Harvest Moon, you know the kind of graphics I am talking about. They are really quite pleasing to the eyes, and really make the game that much more enjoyable to play. The sound is really pretty good too, especially when you consider that this game was made for the Super Nintendo. It's nothing spectacular, but it doesn't get on your nerves and distract you, so it does not detract from the game play. The sound effects are appropriate, and go along pretty well with the cutsey graphics. Being a Super Nintendo game, the control is pretty easy as well. It's not like there were too many buttons to master anyway. The game is a bit too linear for my tastes, reminding me slightly of Final Fantasy: Mystic Quest. You start in town, and when it's time for you to move on to the next part, a yellow line appears on the world map, and the game allows you to walk to the next place; but no further. When you finish that section, it allows you to move on again. The storyline is different, but basic. Your father is an inventor, and the game's antagonists (labeled "Hackers") want him to come to work for them. Blah, blah, blah, it's not really that great. You go defeat some hackers with your robot (including a weird guy with a crab for a head), rescue a bunch of kids from a river cave, explore a haunted mansion, and even travel into outer space; which I guess isn't really that big of a jump for a game based upon robots. Robotrek isn't the longest game in the world, but it is plenty long enough to provide countless hours of gameplay. It is not a game you are likely to beat within a couple of days time, so at the very least, it has staying power. Replay value is probably nominal, because it is so linear. Once you've finished it, it's finished. I recommend this game to anyone who appreciates a good role playing game, especially if they like linear ones. It's just unique enough to add something different to an over-crowded genre, but enough the same to keep it easy to play. If you like game, you should also try Final Fantasy: Mystic Quest, Harvest Moon, or maybe Breath of Fire. Pros: Great graphics, good music, simple controls, what more do you want? I'll have to admit, I would never have bought a Harry Potter game myself. That did not stop me from playing it when my little brother got it for his birthday though. I love all kinds of games, and will always be willing to try something new or different. 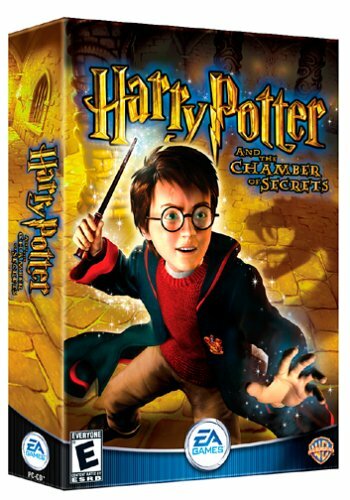 Electronic Arts' Harry Potter and the Chamber of Secrets is about what I expected. The game was most certainly made for the younger generation of gamers, between about 5 and 15 years old. My younger brothers (ages 9 and 11) seemed to enjoy it, though they have so many other games to play that it's hard for them to hold interest in a single one for any lengthy period of time. The Chamber of Secrets has some pretty impressive graphics, I must admit. That is what surprised me most about the game. I was half expecting some Myst-like panoramic camera visuals, but instead, I got some pretty good 3D models. The graphics were smooth and refined, and the game looked good all around. I was using a 1024x768 desktop resolution, 32 bit color depth, and high texture detail. The movie scenes were also rendered really well. There were quite a few of them in this game, which helped propel the story along. Without them, half of the game would have had a hard time progressing. The voice-overs for the sequences were really well done also, and all the characters sound identical to the way they sounded in the movie. The musical score for Chamber of Secrets was great too. Geoff Foster and the rest of the music team did a good job with it, helping to add an atmosphere to the game, and fill a void left by the horrible sound effects. I swear, if I here Harry say "Flipendo" one more time, I am going to unplug my speakers. In the options menu, you can change all the basic things like screen resolution, color depth, texture or object detail, and music or sound volume. You can also set the game to automatically drink a potion when you get low on stamina, or even to automatically jump when you come to a gap. Once again, the younger users will most certainly appreciate such small conveniences. The gameplay was extremely simple, yet effective. I opted to use my keyboard and mouse, but you can also use a plug-and-play joystick if you prefer. The learning curve was pretty much non-existant, which is a good thing when you have a game that is tailored to a younger audience. There are different types of play during different parts of the game. When you start out, you have free roam over the majority of Hogwarts. Talking to other characters will get you pointed in the direction you are supposed to go next. Usually you wind up going to class, where you get to learn a new spell. Learning the spell is really easy, you just follow the wand around which ever pattern is displayed on the screen, and whenever wand passes an arrow, you hit that direction on your keyboard or game pad. You can't fail, because it just keeps continuing over and over again until you finally get it right. You must complete three passes around the pattern, and each pass adds a couple extra arrows. Every time you finish learning a new spell, you must complete a "challenge", and that spell will be useful (and often essential) in completing it. There are six different spells Harry can learn, and thus six different challenges to take. The first one, Flipendo, is the easiest to complete. Later, you can finish Alohomora, Lumos, Skurge, Diffindo, and Spongify. The goal of the challenge is to touch the challenge star at the end, and depending on how fast you get there and how many secrets you find along the way, you are awarded house points. There are also some smaller stars along the way, which increase your points, as well as increasing your time limit. Oh, and don't worry about the time limit, it's mostly there just as another way of figuring out how many house points you will earn.. you certainly won't run out of time. In each challenge, you will encounter different creatures you have to defeat. Even though some of them spit fire at your, or leave trails of acidic slime, they are really easy to defeat. Basically, you just aim your wand at them with the mouse, and the correct spell to hit them is automatically selected. Just shoot. Often, you wind up pushing them around with Flipendo to knock them into holes to trigger switches. Not that difficult to figure out, because all the holes are marked with a sketch of the creature haha. House points are pretty worthless, in my opinion. The only thing they are good for, is to let you into the bonus bean room. One of the main secrets to discover in this game, are Bertie Bott's Every Flavor Beans. The other secrets are silver or bronze wizard cards. The beans are used as a sort of currency, to trade with other students for items. The beans can be found all over, from shooting statues with your wand, to knocking over pots, or winning wizard duels. The wizard cards serve two purposes. The bronze ones increase your stamina. Every time you collect 10 of them, you get one extra stamina bar. The silver ones unlock the door to the gold wizard card challenge room, which is a pretty worthless prize if you ask me. The gold room is nothing more than one really short challenge, with a really low time limit, but it is really easy. One of my favorite parts of The Chamber of Secrets is the Quidditch League. It compromises of six matches throughout the school year. The first match is really easy, and they get progressively harder until the last match. In the Quidditch games, you get to control Harry as the seeker, and thus fly around on the broom chasing that elusive little winged ball. You also must deal with the opposing seeker, who will push and kick you at every opportunity. Push back! The controls for the Quidditch games are terribly easy as well, as Harry automatically follows the "Snitch" (the little winged ball) along it's trail. When the little meter at the bottom of your screen fills up, just hit the [CTRL] key to reach out and grab it. I would suggest you go to the options and turn on Invert Broom Control though, so that it handles correctly. Overall, this game was about what I expected, but it did surprise me in a couple areas. Replay value lacks, however, due to the target audience. In order for the younger gamers to be able to complete this game, it is really easy to finish, taking just over five hours to play through (and discover 90% of the secrets). I would recommend this game to any Harry Potter fan, especially younger ones. If you like this game, I suggest you also check out Harry Potter and the Sorcerer's Stone, Finding Nemo: Nemo's Underwater World of Fun or Nancy Drew: Danger on Deception Island. I always search through the low cost game section when I go to Wal-Mart, and usually pick up a game or two to try out. This was one of them. With one glance at the back of the package, it appears to be nothing more than a Diablo clone.. and actually that's about all it is, except for the fact that it has much more of a plot and a much better story line than Diablo has. The storyline of Siege of Avalon is really great. Playing this game is more like playing through a book. While this helps the plot out a great deal, it forces the game to be fairly linear. You are unable to really go off and explore most areas of the game until you have finished the previous areas. This is both a good and a bad thing. On one hand, it helps you to know where to go next, as the later parts of the game are locked out; but on the other hand, if you get stuck somewhere, you can't just skip over it and possibly come back later... you are just stuck there until you figure it out. Some parts of this game are rather difficult to figure out too. I guess this is a good thing, as long as you do not get frustrated by it. Some parts also get rather tedious, like hunting down every single Sha'ahoul (the enemy creatures) in the surrounding village for chapter 1. I remember walking through the village areas over and over again, searching for the last few remaining Sha'ahoul. It was rather irritating, considering how many times I had to walk around in the same place until I finally stumbled upon them (and the village isn't even that big). There are a few quests thrown in around the game as well. The quests range from killing a few spider-type creatures in the kitchen cellar, to tracking down a horde of steel bars beneath a Sha'ahoul controlled village. The quests give you points, which can be used to increase your character's stats. This system is used instead of 'experience points' and 'gaining levels' in Siege of Avalon. I think it is a welcome change from the standard. There are only 3 different character classes to chose from; a fighter, scout, or mage. This was a bit disappointing, but upon further thought.. what other classes do you really need anyway? The variety of equipment available is quite nice... your character's appearance changes to reflect any new items you have equipped him with. I do not know quite where to classify Siege of Avalon as a game. It has elements of a nice role playing game, while maintaining aspects of a good adventure game at the same time. Yet, it still manages to play more like a book. Go figure. The 3/4 character view lets you see enough of the surrounding area that you can maneuver, while still showing off the games 3D rendered graphics. The movie scenes leave something to be desired, but the are sufficient enough to get the job done. With the storyline this game has, it don't really need the movie scenes anyway. The background music is average, not really bothersome, but at the same time not really necessary, and the sound effects are rather meek. Sometimes I get the feeling I am playing an old Super Nintendo game instead. The detailed 3D graphics in this game are slightly above average, and the system requirements do not suffer much from them either. A 500MHz Pentium II with 69MB of RAM is all that is required to run Siege of Avalon under Windows 98/ME, or 128MB of RAM for Windows XP. 750MB of free hard drive space to hold the game, an 8x CD-Rom, mouse and sound card top off the requirements. Nearly everyone can meet those requirements today. A full PDF manual is included on the CD. This seems to be common with most low-cost games, as it cuts down the cost of printing out the manual, and thus makes the games more affordable. If you like games such as Diablo, Darkstone, or even some of the old Ultima games, then you will probably also like Siege of Avalon. Secret Service: In Harm's Way, was the second game by the Romanian company FUN labs, who are mostly know for their various hunting games. They also have a couple 4x4 Off-Road Adventure games under their belt. 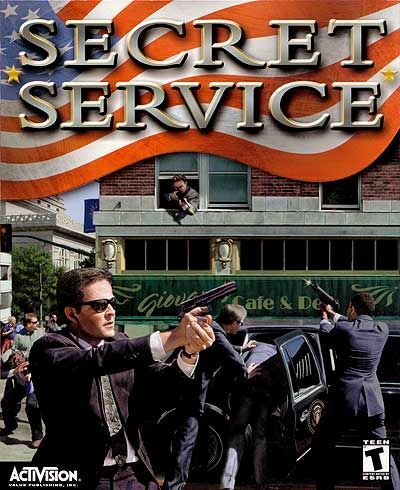 Released in late 2001 by Activision Value, Secret Service is a realistic, first-person shooter. It uses an in-house developed 3D engine to render the feature-rich environment, and the large levels made to be as life-like as possible. Bullet behaviour is affected by the physical properties of all the different materials in this game, as well as being affected by impact speed and distance. The rich environment sounds feature complete support for DirectX, EAX 2, EAX 3, and Aureal 3D, if you have a compatible sound card. This makes for some pretty good sound effects, like the different weapons firing. It's not all good though, many of the effects still sound fake, like the glass breaking, or bullets pounding into wooden doors. The gameplay it's self is pretty good. You control a Security Detail, which contains multiple agents in most maps. You have to plan, and choose where to place each agent. You can shoot out lights, shoot through certain types of walls, and even move furniture around to block path ways or provide yourself with cover. Shooting out lights does not make you invisible, but it makes it harder for the enemy to see you, and thus reduces their accuracy. There are multiple types of gameplay, depending on the map. Some are search and destroy, where you just run through blasting. Others, you must employ stealth to survive. My favorite ones are the ones that require you to protect someone else, such as the vice president or the national security advisor. The first mission in the game is a protection mission, and I got discouraged with it after not being able to get very far after about twenty tries. Stupid me, didn't bother to read the instructions. You can access HUD commands by pressing the numbers 1-4, which allow you to interact with other members of your team, or your protectee. I kept trying to keep him from dying over and over again, and didn't get very far. All I had to do was use the HUD commands to make him follow me, go to a safe place, then use another HUD to make him stay. After that, it was a simple matter (almost) to go around and kill all the terrorists, then take the protectee across the street. You must deal with terrorists on the ground, usually armed with various machine guns or sub-machine guns. To make it interesting, there are civilians thrown all around, and if you kill too many of these, usually 2 or 3, you automatically lose and must start the level over again. You must also deal with snipers, who like to stand on roof tops or shoot from second story windows. There are 16 large single player maps, and about 25 multi-player levels, giving you plenty of play time. Secret Service features over 100 different characters, and 26 different tactical weapons. Each mission has different objectives and dangers, so it does not get boring as fast as some other first person shooters I could mention. The controls are pretty much standard for a first person shooter. Too many buttons, haha. That is my only qualm about the entire genre, way too many buttons to deal with. Your character can walk in all eight directions, then you have the normal buttons for jumping, strafing, crawling, changing weapons, displaying the map, turning the flash light on or off, etc. I guess I've just gotten too spoiled by playing all my role playing and sports games. Some of the menu screens are a bit hard to navigate though, which is one of my few complaints. Sometimes it is down right difficult to find what you are looking for. I went through the first four missions before I found out that you could even change your character's equipment. Going down vertical ladders can be a little bit tricky. To make it safer be sure to approach the top of the ladder when walking. Use small little steps until on the verge of falling. Then make an 180 degree turn and press the forward key while looking down. If you are in the right spot you should go down the ladder. They aren't far off either, it is more than a "little bit tricky". Sometimes, even when you are right on, you still fall off and hit the ground. This usually does a good job of sucking away half of your life, which leaves you little room for error when taking on a swarm of terrorists. My final problem with this game, is the incredible stupidity of the artificial intelligence. On one hand, they do duck and move when you try to shoot them, which is good, but then five minutes later they will be stuck, not being able to figure out how to walk around a box. Or two computer controlled characters will be walking towards each other, and they will get stuck standing face to face. Overall, there are more positives than there are negatives, and I would recommend this game to anyone who likes first person shooters. If you like this game, other games you might enjoy include Doom, Duke Nukem, Tribes, Gods & Generals, and Medal of Honor. Pros: Paint, make music and animations, go Mario! Mario Paint was the first game I ever played on my Super Nintendo Entertainment System (SNES). I bought my SNES used, and Mario Paint came with it, along with the little-used SNES mouse. The mouse didn't really go over well, as not many games supported it anyway, but Mario Paint was one of the better ones. This is not, as one would tend to think, a Microsoft Paint look-a-like ported to the SNES. It is in fact, much more than that. Of course, it does contain the normal painting tools, such as a pencil and a flood fill, and other goodies.. but where Mario Paint steps away from the rest is in extras. It contains a handful of pre-drawn pictures, ready to be colored. Wow. That's all? Why, of course not! Mario Paint also includes, of all things, a music authoring program! You can take different symbols, which each make a different sound, and place them along the measures to create your own music, and play it back. It is completely configurable, including repeat and tempo adjustment, and adjust between 3/4 and 4/4 time. You can have just shy of about 30 measures, which isn't a lot, but plenty for some simple little tunes. Also note that you cannot have flat notes or sharp notes, so you usually end up with funny sounding songs. I'm certain you aren't going to play Mario Paint to make music, but still, that was utterly amazing that was to discover. One of my most favorites has got to be the fly swatter mini game. You control a hand, which is holding a fly swatter, and you must swat the little flies.. then you get bigger flies, which explode if you don't swat them after a minute or so. Then yellow flies, who instead throw a swarm of little baby flies at you if they are not killed promptly. At the end, is a great big robot fly, who requires quite a lot of swatting to defeat! He sometimes shoots round waves across the screen to hit you, or throws a swarm of baby flies at you, sometimes both at once. Sometimes he even goes rampant, and jumps around the screen like a fool trying to squash you. If you manage to beat him, you get a little star and start over at level 1. Go through it again, and get a little mushroom head, and start over at level 1. In any case, it's a quaint little game, but fun none-the-less. The painting and music do, however, get tied together when you explore the game further. Mario Paint is actually a full fledged animation studio. You can draw some characters, draw a background, use the path finding tool to make your picture walk along the background, and then add your own custom music to the mix. The graphics are on par with Super Mario World, which means they are pretty good for a SNES game. The music is also decent, but if it starts to get to you, you can select from two other background music choices, or turn it off entirely in the options. The gameplay.. well, it's more of a painting, music, animation studio program than a game, but it still earns high marks. It is an extremely creative program, and kudos for originality. Replay value is obviously high as well. It is so simple to use as well. A three year old child can figure out how to play with it. In my opinion, this was one of the better pieces to ever come out for the Super Nintendo. I was really glad to have gotten it when I bought my SNES, otherwise I probably never would have known how great it was. There was some kind of spin off version available for the Nintendo 64 as well, called Paint Studio. It was one of four Mario Artist titles, along with Communication Kit, Polygon Studio, and Talent Studio. These titles, unfortunately, are only available in Japan, and require the Nintendo 64's Disk Drive. This is another one of many discount games I picked up at my local Wal-Mart, value priced at only $4.77, instead of the normal $19.86. With the box boasting such well recognized and popular names like Relic and Microsoft, you can understand my surprise. Impossible Creatures is a 3D real time strategy game from Relic Entertainment, the makers of Homeworld. The game is set in the 1930's, where you play as an adventurer named Rex Chance. Your father, Dr. Chanikov, who had disappeared years before, contacts you and wants to see you. When you arrive, you find that your father has been killed, and mutant animals are terrorizing the locals. This is where the game takes on some originality. Your father had been researching Sigma Technology, which allows you to take DNA samples from two different animals and combine them together, creating super mutant animals! The game comes with around 50 different animals to sample DNA from, which leaves room for a lot of combinations. Also, you can take different body parts from each of the two animals and recombine them in different sets. For example, take a tiger and a bear and pair them together. Then, further customize your mutant creation by taking the tiger's hind legs, with their speed and leaping ability, and using the bear's front legs (for their stronger attacking ability). Use the torso of the bear, because it is bigger, and maybe the head of the tiger for it's better line of sight. The possibilities are astounding. Unfortunately, you can only combine two separate animals together at once - meaning you can't take your new mutant tiger-bear and give it the tail of a skunk. Regardless of that fact though, there are still tens of thousands of different combinations to choose from. Some creatures may obtain special abilities, such as a stink bomb, electric strike, or quill throwing.. these can be obtained by using specific parts from the base animal, such as the tail from a porcupine or skunk, or part of an electric eel. These abilities must be used manually, instead of automatically engaging when you attack an enemy. Other abilities, such as leaping, or pack hunting, are automatic. Your primary goal in Impossible Creatures is to destroy your enemy, of course. You start out with a lab, and with it, the ability to recruit henchmen. The henchmen can then build lightning rods and power plants to supply electricity, or gather coal from coal piles. Electricity and coal are the only resources available in this game. The better the creature you create, the more coal and/or electricity is required to make it. Coal and electricity are also needed to build new buildings, such as the water chamber (for sea creatures), air chamber (for flying creatures), or sound beam towers (to shoot at enemy creatures). Upgrades also require resources. Each creature you design can only be created once you have achieved a high enough research level. These can be upgraded at the lab, and range from level 1 (mostly regular animals), to level 5 (ultimate mutant combo monsters). You can also build a genetic amplifier, and purchase stat upgrades for your creatures, for a hefty resource price. The campaign mode features 15 missions across 14 distinct islands, as well as an easy to use mission editor. Online multiplayer support is included, for up to six players, but I would not advice using it unless you have broadband internet, or at least a relatively good modem connection. It was a little slow for me, connected at 28.8 kbps, and I was only playing a two player game. The background music in Impossible Creatures is, for the most part, relaxing and unobtrusive. You hardly notice that it is there most of the time. The sound effects do tend to get old though, like in most RTS games. Henchmen sound like a dumb lug, and creatures make different sounds when you click on them and move them, though they tend to sound like the animal who compromises the majority of their make up. There are also complete and well done voice-overs to accompany the captions at the bottom of the movie sequences. Impossible Creatures uses a perspective camera angle to view the game, which is similar to nearly every other RTS on the market. However, you can also zoom in so far that you cannot fit a whole creature or building on the screen at once. Even when zoomed in, the detail remains unbelievable. It's nice to zoom in really close, and see just how different each creature actually looks. There is a multiplayer map pack available for download from the official Microsoft site, as well as a patch to unlock 10 additional animals and a game update patch. Plus, if you have the update patch installed, you can download the 88 MB Insect Invasion mod free of charge, which features new creatures and abilities, as well as new maps and environments. With both patches and the Insect Invasion mod installed, the number of base creatures grows to 75, instead of the original 50. This effectively adds 50% more combinations to the already huge number, yet the game remains simple enough to control and easy to play. This game is a must-play for any RTS fan. If you enjoy playing games such as Starcraft, Total Annihilation, Age of Empires, or Warlords: Battlecry, you should certainly give Impossible Creatures a try.. you will be pleasantly surprised. I originally bought Darkstone over a year ago. Every week when I got my pay check, I would go to Wal-Mart and search through the discounted Playstation games and buy a couple. I had never heard of Darkstone before, but I figured I would give it a try anyway. From the back of the case, it appeared to be similar to Diablo, which was a fun game. I was a bit disappointed when I actually started playing Darkstone. The game is riddled with programming errors, making it almost unplayable sometimes. I later tried the PC version of the game, which was much better, but that's a whole other story. Sometimes when you save your game, it returns a save error. This is the least troublesome of the bugs I have encountered, as it only requires you to save again. The game will also occasionally freeze up, requiring you to reset the Playstation and lose any data since your last save. Then there are times when your magic door spell either moves, or disappears entirely. Or while playing the thief, and stealing from enemies; sometimes the item will get stolen but not fall on the ground. This wouldn't be so terrible I guess, except that you can't do anything except enter the menu while this bug is happening. Thankfully it does nullify the bug to enter the menu and then exit again, and the stolen item falls on the ground, so that your other buttons work again. Also, you need one of each crystal to form a time orb for the last level. In some quests, if you are not sure what to do, and happen to do it in the wrong order, you may lose out on getting that crystal forever, and thus have to restart your game. Also, while playing the thief, you can occasionally steal a crystal from a boss monster, then get a duplicate of the same crystal after you beat him. Crystals are not the only one-of-a-kind item that you can steal duplicates of, you can also get more fire orbs, ice orbs, keys, and probably more that I just can't remember off hand. All bugs aside, the load time in Darkstone is something awful, the storyline is pretty much non-existant, and there aren't really enough quests to keep the game interesting after you've beat it a few times. The game utilizes a 3/4 perspective camera view, which can be rotated by pushing the right-hand analog stick horizontally. It can also be zoomed in or out a bit by pushing the right-hand analog stick vertically; though digital pad owners are stuck with the default zoom factor. The sound effects are your average footsteps and slashing sounds, and the background music isn't a whole lot better. The noted exception being the bard's single. If you walk to the center of town, and throw coins into the bard's hat, you can listen to Audren. I don't really like that kind of music, but it wasn't too bad anyway. As for the tiny bit of good that I can say about this game.. it is rather fun the first time through, if you don't get discouraged by the bugs. There are 4 character classes to choose from, which provides a little bit of variation in the beginning; but you can increase whichever stats you feel like when you gain a level, so the difference between classes is pretty much non-existant after you've gained a few levels. To make it even less of a difference, every class can equip any weapon or piece of armor that you find. Weapons and armor in Darkstone sometimes have special attributes. When equipped, most of these attributes directly effect your stats, like 'armor 20%' or '20% to hit'. Other attributes let you cast spells, such as 'fireball 200/200' allowing you to shoot 200 fireballs. Then my personal favorite, 'vampire 30% life points' takes 30% of the damage you do to the enemy and heals you with it. The thief/assassin profession is by far the easiest to complete the game with, as you can steal items from the enemies and sell them. His main strength is dexterity. He also learns the 'Identify' skill, which allows you to identify a weapon's special attributes (if it has any) so that that weapon will sell for a better price. That is a super quick way to make money, and gain some pretty awesome equipment. The warrior/amazon is second, in my opinion, as he can also learn 'Identify'. His main strength is his attack skill. He cannot steal any items, but enemies sometimes drop them anyway. What makes this nice for the warrior, is his 'Repair' skill. A weapon that has more durability will sell for more than a weapon that is almost broken. The other two character professions include the wizard/sorceress, who's main strength is his magic, and the monk/priestess, who relies on vitality to give them lots of health. The graphics are average for a Playstation game, could be a lot better though. Nothing compared to earlier titles such as Syphon Filter or Metal Gear Solid. The sound is, for lack of a better word, horrible. It sounds more like an old Nintendo game than a Playstation game. Gameplay is decent, if you can overlook the bugs; but replay value is minimal due to the small number of different quests.